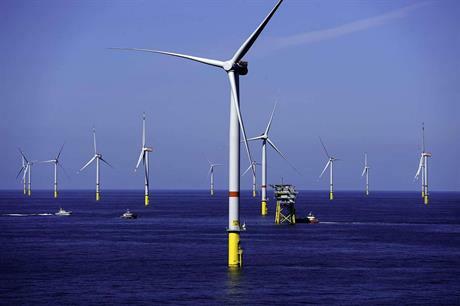 DENMARK: Danish offshore wind developer Dong Energy has set an indicative price range of DKK 200-255 (€26.89 - 34.29) per share ahead of its planned initial public offering (IPO) this summer. The range values the world's leading offshore wind developer at between DKK 83.5 billion (€11.2 billion) and DKK 106.5 billion (€14.3 billion). Between 15.1% and 17.4% of shares will be offered in the IPO, due to take place in June. "The offer period will commence on 26 May 2016 and will close no later than 4pm [central European time] on 8 June 2016," Dong said. Dong would be listed on the Nasdaq Copenhagen stock exchange under the symbol 'DENERG'. The first day of trading is expected to be 9 June. Proceeds from the IPO will help Dong fund growth, particularly in the offshore sector. CEO Henrik Poulsen said 80% of Dong's investments up to 2020 would be in offshore wind. Dong had announced its intention to float on the stock exchange in September 2015. Its initial deadline was to complete the move by the end of Q1 2017. Dong is currently owned by the Danish government (58.8%), a subsidiary of bank Goldman Sachs (17.9%), Danish utility SEAS-NVE (10.8%), Danish pension firm ATP (4.9%) and other shareholders, according to the company. The Danish government said it would sell a portion of its share in the IPO, but still maintain a 50.1% stake. Dong said the shares offered were the result of a partial sell-down by existing shareholders, excluding employees. In its financial results presentation in April, Dong said, following a successful IPO, it would expect to pay a dividend of DKK 2.5 billion (€336 million) for the 2016 financial year.